Tweet us your favourite London Lies to @ArachnePress #WritingCompetition #LondonLies before noon on 20th October 2012. Don’t tweet? Then send us 140 characters including spaces via the contacts page. We will choose the best 10 and post them on the website. There will then be an online vote for the best. Deadline for voting is 4pm on Halloween, so that I have time to turn the voting off before the trick-or-treaters arrive. Winners will be announced the following day. 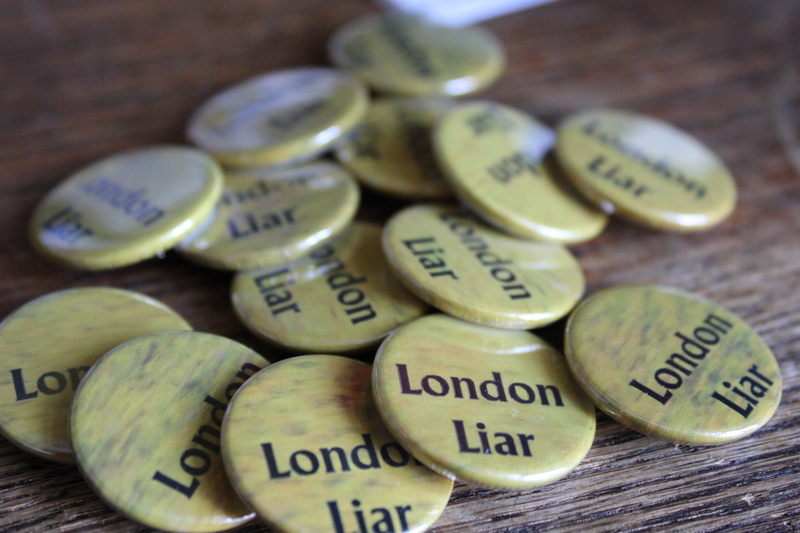 1st prize a copy of London Lies, 4 runners-up will receive our dimity badge that identifies you as a London Liar. There are only a few of these in existence, so they will be incredibly precious one day! Each London Lies author has their own, unique version that includes their name. You can become an honorary liar!